Do you ever have those days when you’re feeling blue and gloomy? Or you just feel too anxious because of everyday pressure? Well, I guess it happens to everyone from time to time. Some people go shopping to lift the mood, others go to gym or play some sport to blow off steam. My way is to watch funny photos and videos. Many of these will do, but nothing compares to funny babies. I can’t imagine the situation in which silly little ones won’t put a smile on my face. I don’t know what is their secret, but they manage to be hilarious over and over again. Resemblance is obvious, isn’t it? Somehow I feel that they are both having fun. Whatever he did to provoke his mom to call him by his full name will go away in a moment. Just a look at those navy blue eyes and startled face would melt the glacier. I was really nice and charming. She must call! Maybe he should have pumped his cheeks to look cute? Anyhow, if she doesn’t call it’s her loss. I didn’t choose the thug life… The thug life chose me. “What are you looking at?” Acting classes could use babies for teaching. It is just unbelievable how expressive they can be. I mean, look at this kid. He is born to play thugs. This must be heaven! There’s so much of oil, dirt and all kind of stuff to throw. 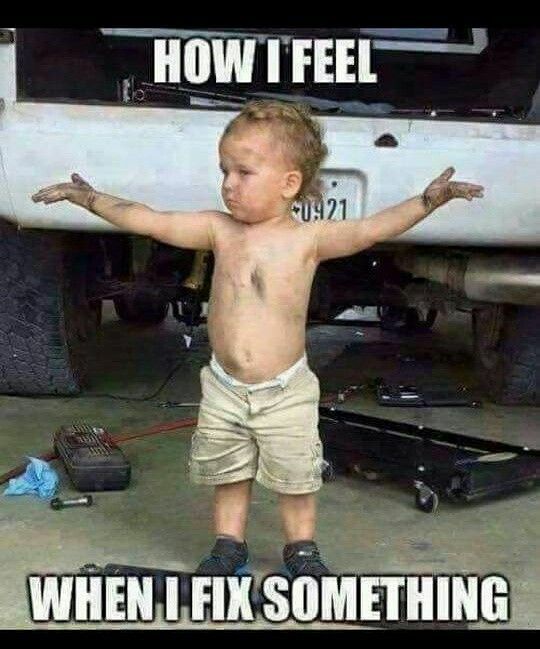 And I am the king! Who is this funny guy anyway? Is he delighted or just trying to figure out if the other guy can predict everything? I think this is a beginning of a beautiful friendship. My mom told me to sing with emotion. 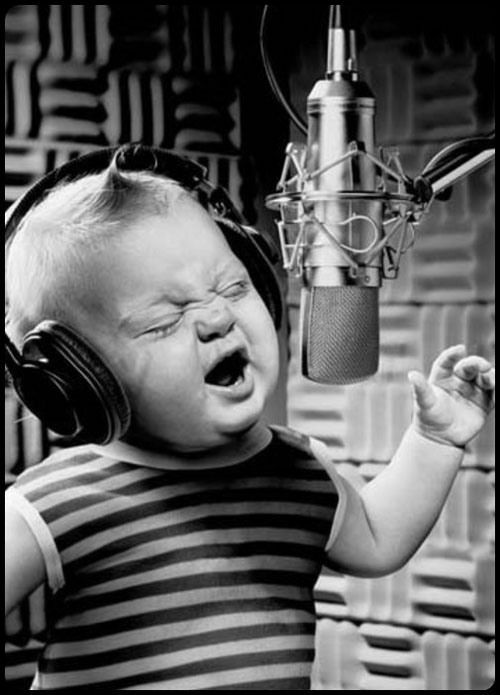 “Singing is great but I still prefer screaming!” This baby has it all: expression, power and adorable tuft of hair! It must have gone up from singing! Who needs a fancy jacuzzi? My daddy told me that jacuzzi is super-duper thing so I improvised. It is pretty cool. I don’t want to hurt mom’s feelings. This little one appreciates the value of diplomacy. But, he will get what he wants. “I didn’t do anything! And look, there is a monster behind you!” Stupid grown-ups will buy it and how could they not? I am not laughing at you. It seems like sometimes we are hilarious to babies as much as they are funny to us. They are funny because they are so cute and natural. We are funny probably because we don’t get anything right. It doesn’t matter if you are small or big as long as you are boss. This baby knows what he wants and how to get it. If you want to be serious you’ve got to dress seriously. Could you please find something else to kiss all the time? “Do they really think that this is cute!” I have always liked candid photos more than posed ones. This photo should have been posed but baby made it candid and priceless! This kind of charm and confident yet relaxed posture, will get this one not only to Sesame Street, but wherever he wants.